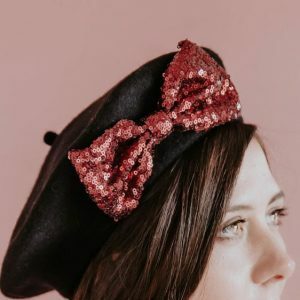 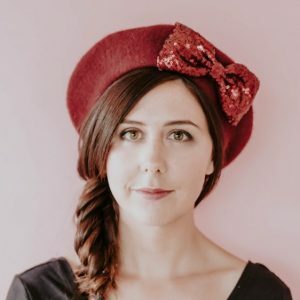 A machine made red wool beret hat customised with a large handmade red sequin bow. 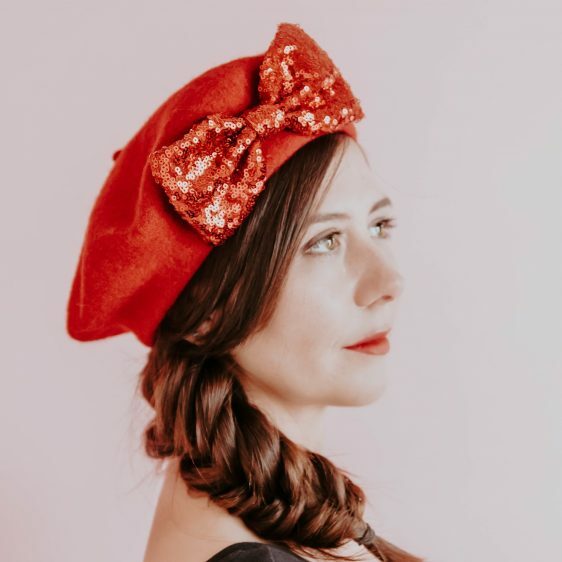 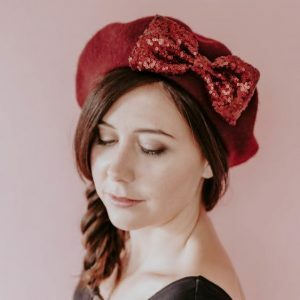 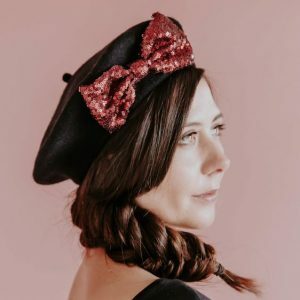 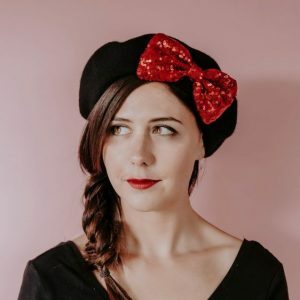 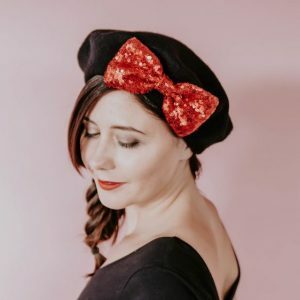 These berets are the perfect winter accessory and are guaranteed to bring a bit of sparkle to a dreary day. 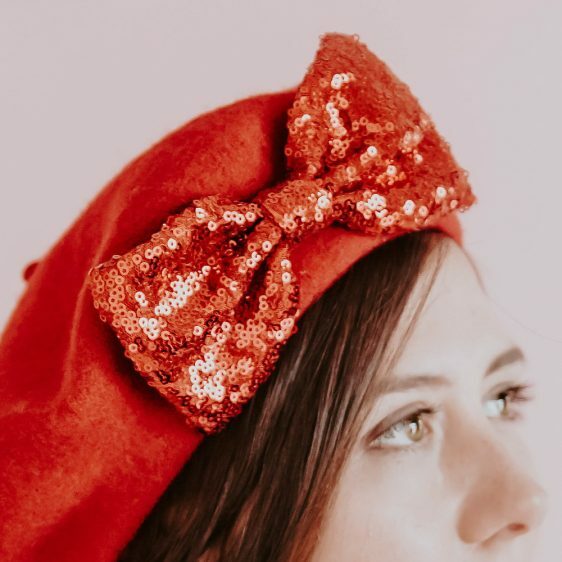 This design is also available in a range of other jewel-like colours.